Large parts of the new economy rely on data science and the application of machine learning. 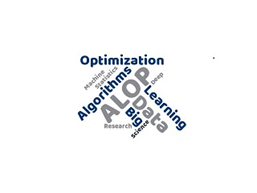 For handling these modern computational and statistical problems, optimization algorithms are of utmost importance. The typically large data sets involved in this context urge for new optimization techniques. Representing three top class authorities in their respective fields of research, reaching from optimization of signal and image processing over large scale linear programming problems to tensor decomposition and many more, they will be sharing their experience and knowledge on theory and application of optimization algorithms. 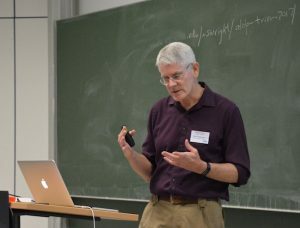 His research interests are the development of algorithmic and computational techniques for solving large scale linear programming (LP) problems using the revised simplex method on both serial and parallel computers. Consequential research interest is the application of these techniques in other areas of computation optimization and linear algebra. Mr. Hall plans on talking about high performance simplex which will naturally lead into high performance numerical computation. 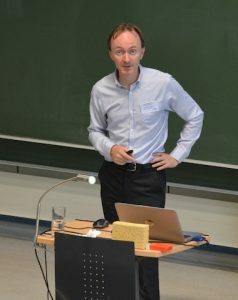 He will look at computational issues in interior point methods and the applicability of “modern” first order methods to the solution of LP problems, as well as talk about one of his current research topics. 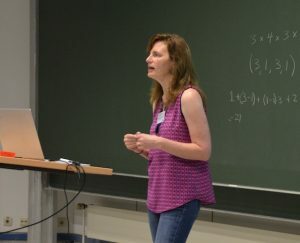 Her research interests are computational algorithm design and development, including linear and multi-linear algebra, tensor decomposition, tensor eigenvalues, graph algorithms, machine learning, network science, derivative-free optimization, computational optimization, distributed and parallel computing. His research interests are in continuous optimization algorithms and their applications. He works on devising algorithms for fundamental problems in continuous optimization (with practical relevance) and in understanding their theoretical properties. He also enjoys working with domain scientists and engineers in such areas as data analysis and machine learning, machine learning, process control, and computer architecture to solve problems in these areas using formulation and solution techniques from optimization. – first-order (gradient) methods for smooth unconstrained minimization. Steepest descent, accelerated gradient and other momentum methods. – stochastic gradient and subgradient methods for minimizing convex objectives with “summation” form. We will also give a survey of current use of optimization methodology in data analysis. The workshop is scheduled to begin on Monday, August 28 at 9:00 am and end on Thursday, August 31 in the afternoon. 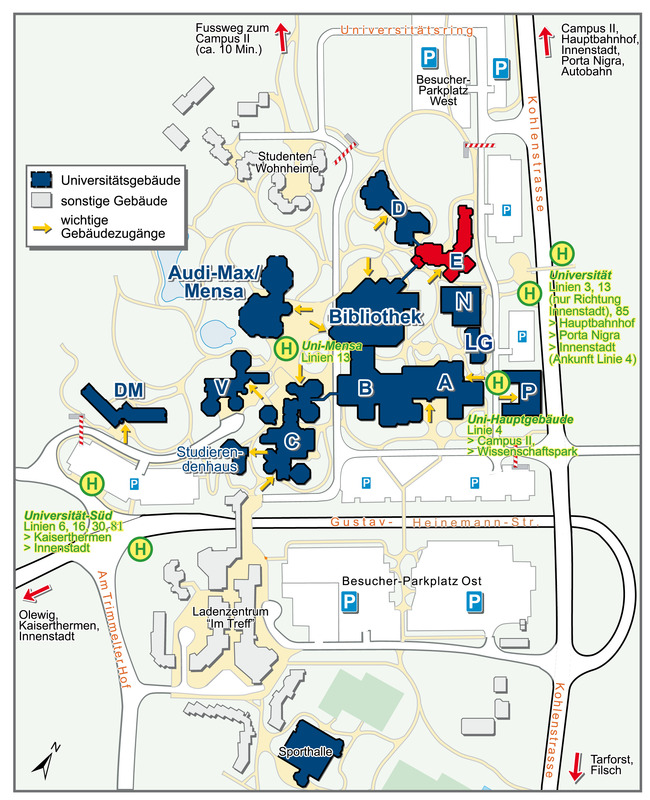 The workshop will take place in Building E located on Campus I at Trier University. Instructions on how to find Campus I are located here. We have a reserved a hotel room contingent at the Altstadt Hotel, Am Porta Nigra Platz, 54292 Trier. Please contact them directly to make your reservations referencing the AUTUMN SCHOOL 2017. The contingent will be available for reservation until August 1, 2017, or until all available rooms have been booked. There will be a registration fee of 70 €. Detailed payment information will be communicated upon registration. Qualified participants may be eligible for a stipend to assist with travel expenses. In order to be considered for the stipend, please submit a CV (which should include the names and contact information of two professional references) along with a one-page letter of motivation before June 15, 2017.